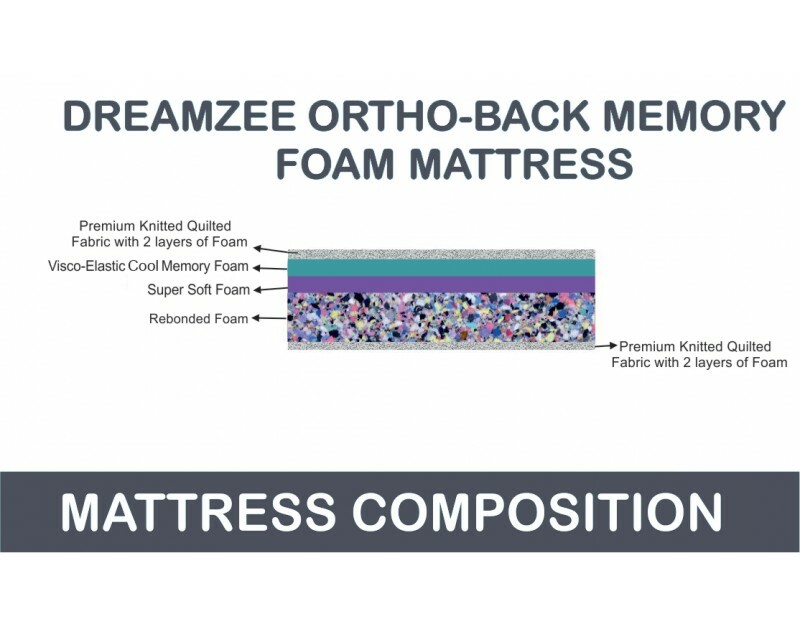 Our Dreamzee OTHO - BACK Memory Foam Mattress collection is specifically designed to provide the maximum comfort to the body with advanced base supportive system. Our special blend of memory foam actively responds to your movements, allowing you to move freely around the bed without experiencing the quicksand effect. 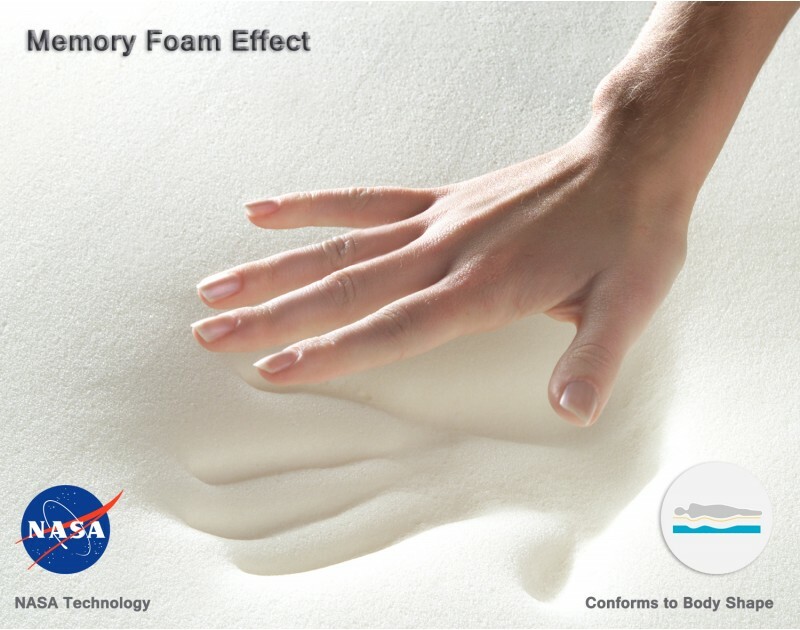 Memory foam responds to your body's individual shape, weight, and temperature. It adjusts its shape to provide precise support, keeping your spine in alignment while relieving discomfort at pressure points in areas like your hips and shoulders. 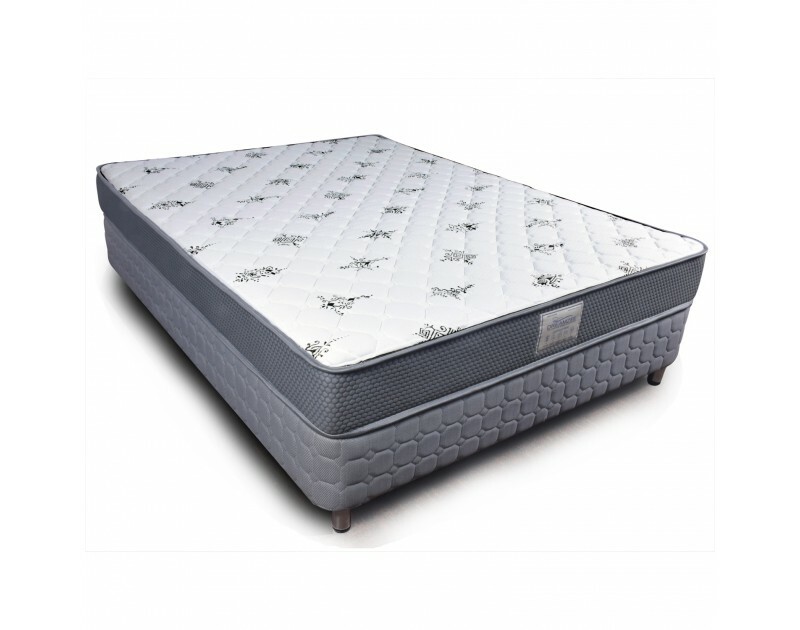 A solid support base made of rebonded foam absorbs your weight to dampen motion transfer and prevent noise. The mattress is finished in a Premium Quilted Knitted fabric that stretches in all directions, allowing you to enjoy maximum pressure relief. The layers work together to bring you the relaxation you crave and the ultimate sleeping experience. Comfort level - It has medium comfort level . Being Soft at the top and Firm at the bottom. It's a reversible mattress which can be used both sides as per comfort needed. Cushioning Layer - This beautiful mattress cradles you with a deluxe cushion of 1" Cool Memory foam and 1" Soft foam for deeper and peaceful sleep. 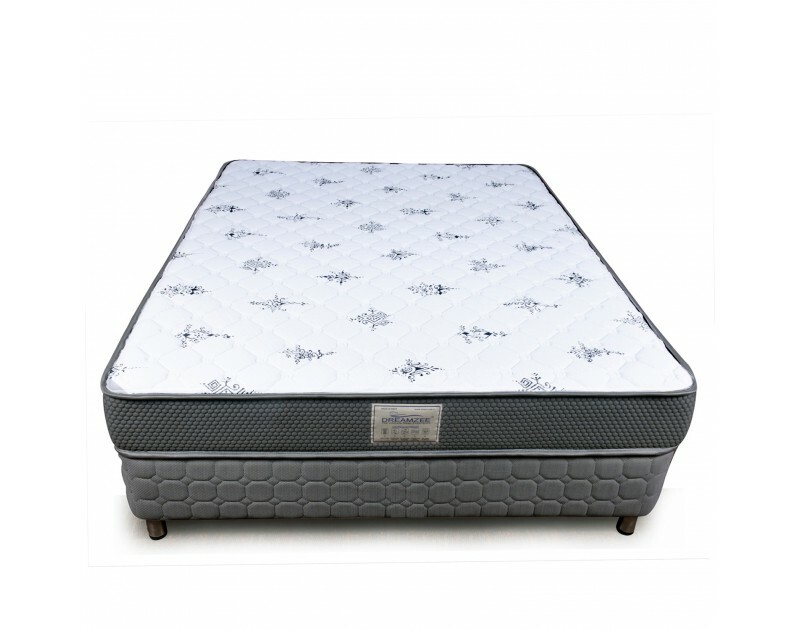 Support Layer - The High Density Rebonded foam at the bottom absorbs your weight to avoid motion transfer . It gives great orthopaedic support to key body areas which helps in relieving back and joint pains. Fabric - Newly introduced Quilted Knitted Breathable Fabric in Hexagon design for superior looks. Warranty - Direct from factory having 5 years manufacturer's warranty.